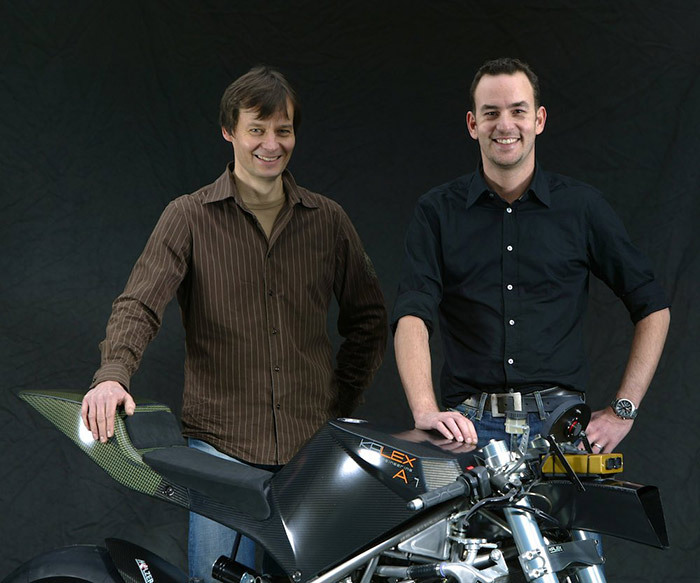 Because what started in our youth with the enthusiasm for Motorcycle races and one or other crash, made its way through the development department in the automobile motor sports up until the moment in which KALEX was founded by Klaus Hirsekorn and Alex Baumgaertel – in short: KALEX – fused with their experience as production manager and developments engineer in professional DTM- and Rallye- Motorsports and their passion for motorcycles. 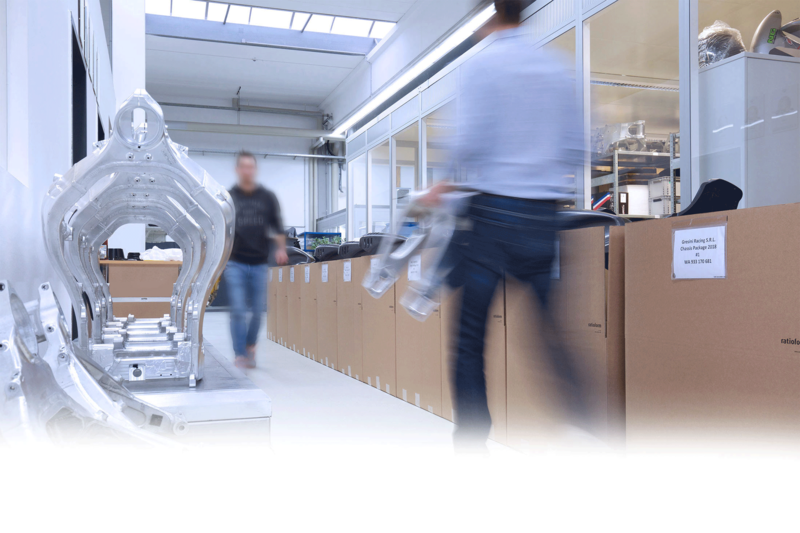 30 years of know-how with just one goal: developing the best race bike chassis . This passion for perfection, detail, speed, paired with petrol running through the veins of drivers who crowned themselves World Champions on our machines, plus never being satisfied with the status quo drives us every second – each thousandth counts! 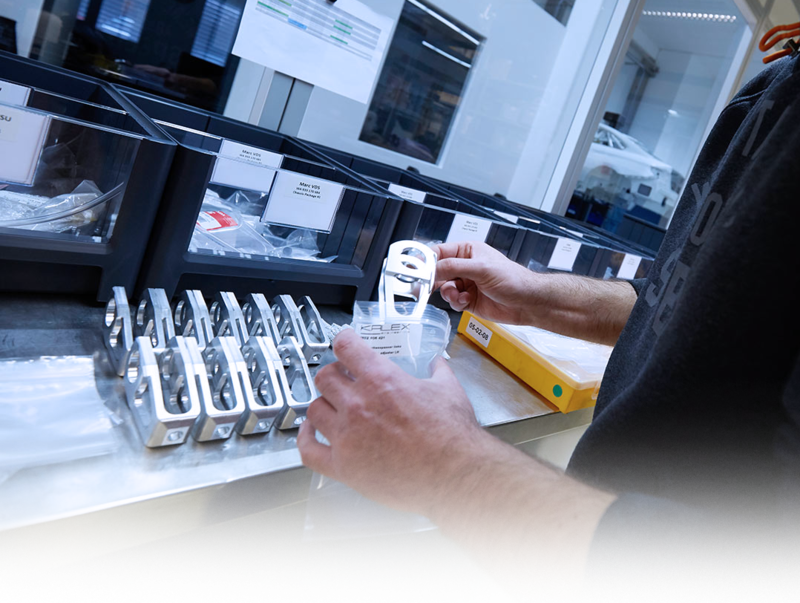 To us, developing means constant examination, quality- and functionality analyses, to stay on top through permanent improvement. 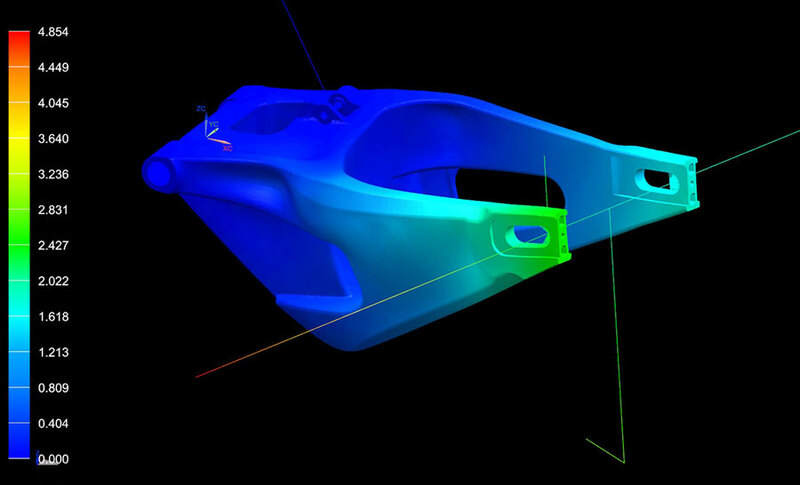 All our Parts & Developments go through Simulations, FEM analyses, functionality and stress-tests, extensive geometrical controlling. 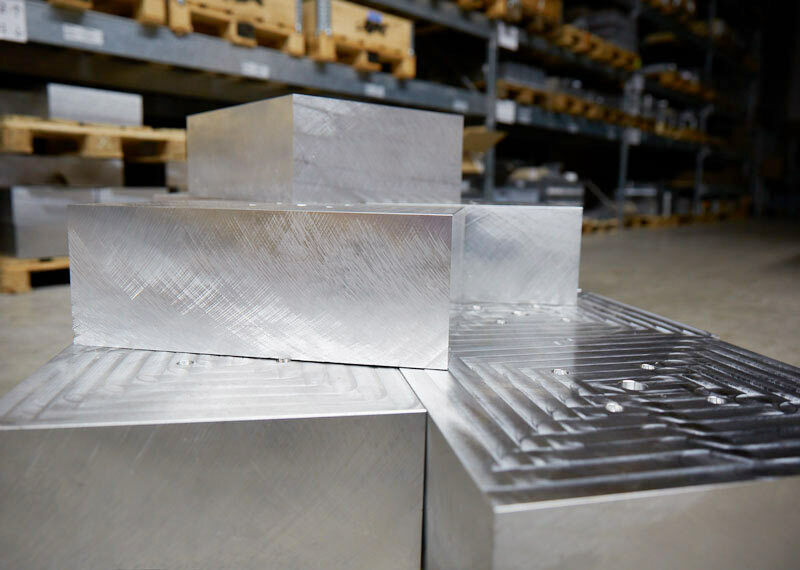 Our state of the art machinery allows for precise production components down to the smallest detail with most complex geometry. 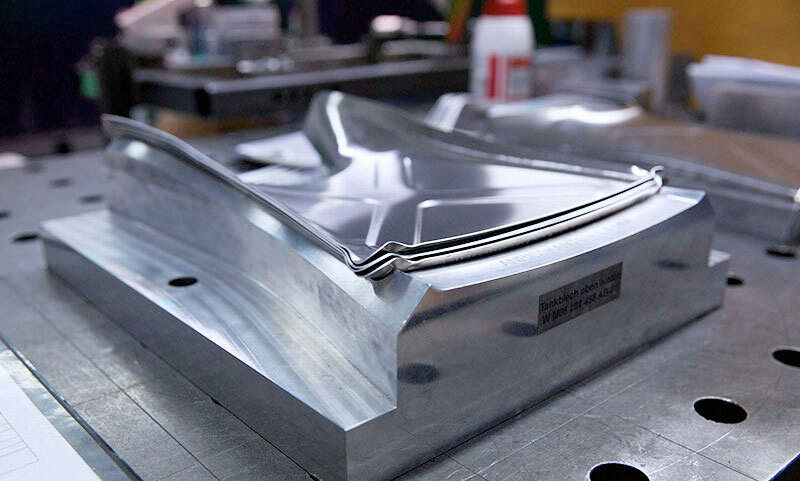 Our specialty – frames and swingarms milled out of entire blocks – that’s the only way stiffness and stability can individually be controlled to the very detail. Specialists put together what belongs together. Because we know: on the track, there’s no room for error. 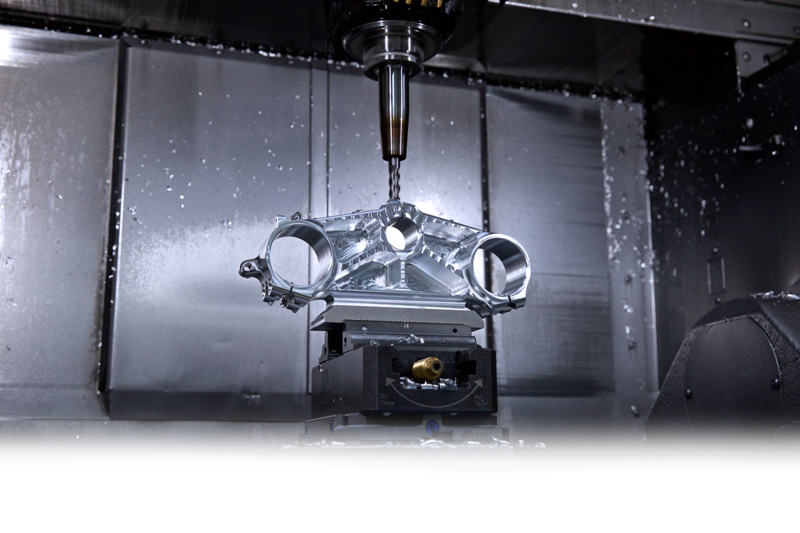 Supported by modern industrial equipment and tools – simply perfect in completion. 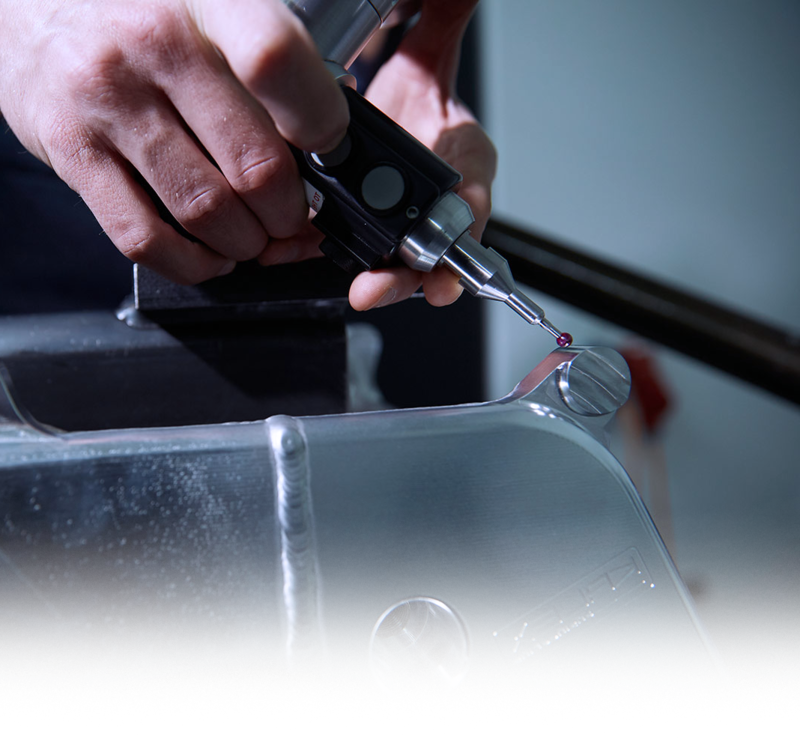 The result = uncompromising precision. Teams throughout the world trust in our service of goods! FAST – RELIABLE – PRECISE. Racing – even backstage that’s the name of the game. High availability of all optinonal component-variants creates trust and confidence – even with high numbers of teams & riders. 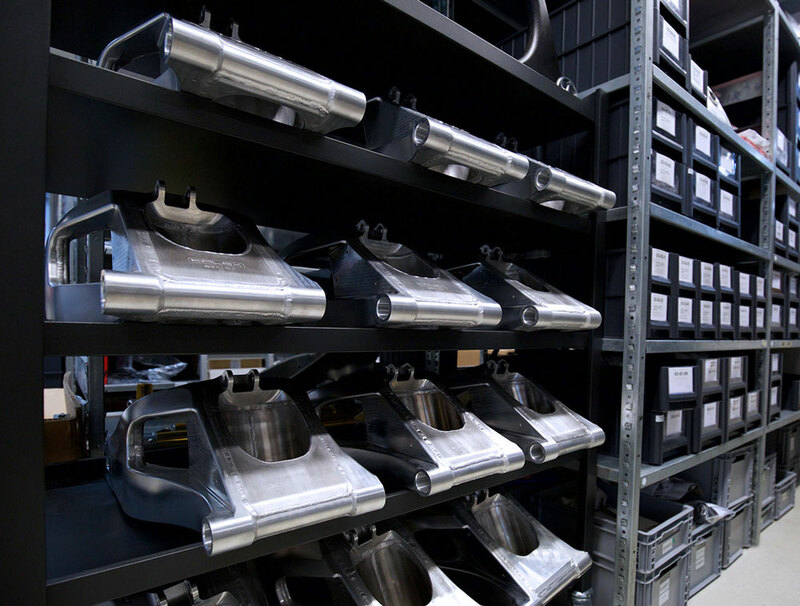 We deliver parts in due time all over the globe. 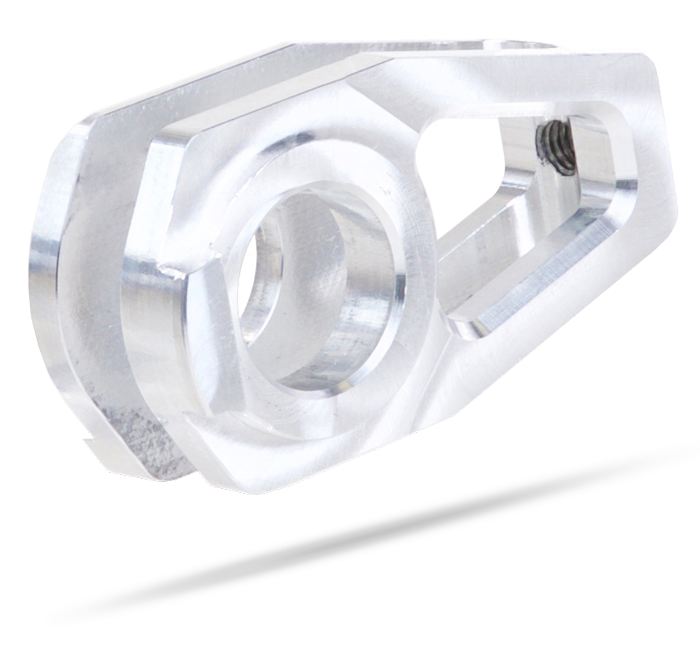 Through our detailed part-catalogs and order-procedure, we can deliver quality at any time. No guts no glory was our strategy when we decide to quit our save jobs and make our passion as our profession. 15 Victories, 12 second places, 15 third places. 7 out of 10 riders of the Top10. 49 Victories in a row, 85 in total. 16 out of 18 pole positions. 6. Victory of riders World Championship. 5. Victory of construction World Championship. New: Supplier of Superbike World Championship. New: Supplier of Spanish Flattrack Championship. 18 Season victories in 18 races. 18 Pole positions. 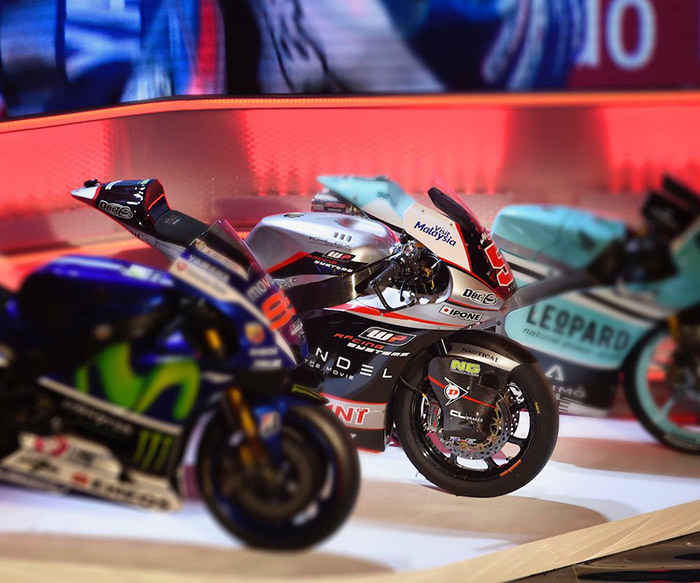 Place 1-9 of the riders World Championship by Johann Zarco, Thomas Lüthi & Alex Rins... Maximum WC-Pointlead of 450 points. 5. Victory of riders World Championship. 4. Victory of construction World Championship. 70 Victories, 34 in a row. On 16 of 18 racetracks, KALEX pilots keep the round record. New Website & KALEX Onlineshop. 17 Season victories in 18 races. 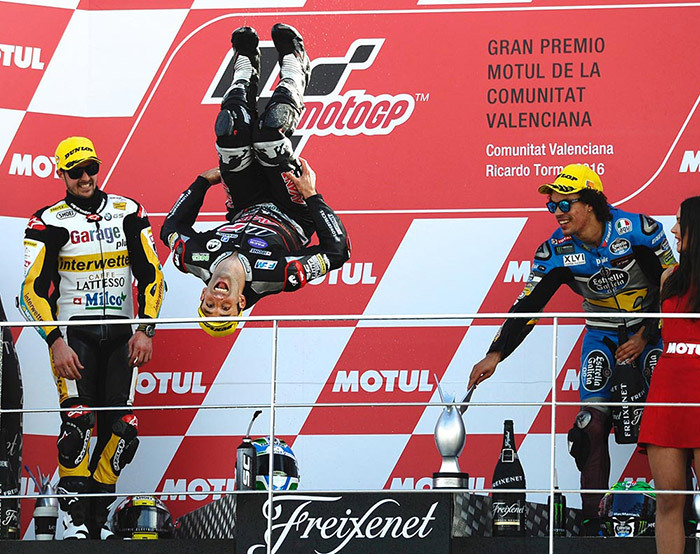 Place 1-3 of the riders World Championship by Johann Zarco, Alex Rins, Esteve Rabat. 3. Victory of construction World Championship 6 races ahead of the end of the season. Place 1-3 in the Riders Championship by Esteve Rabat, Mika Kalio, Maverick Vinales. 2. Victory of the construction World Championship. Place 17 in the riders World Championship by Juanfran Guevara. Place 5 in the final rank of the construction World Championship. Due to regulation changes, exit of MOTO3 at the end of 2013. Place 1-4 in the riders Championship by Pol Espargaro, Scott Redding, Esteve Rabat, Mika Kallio. Winning the construction World Championship for the first time. 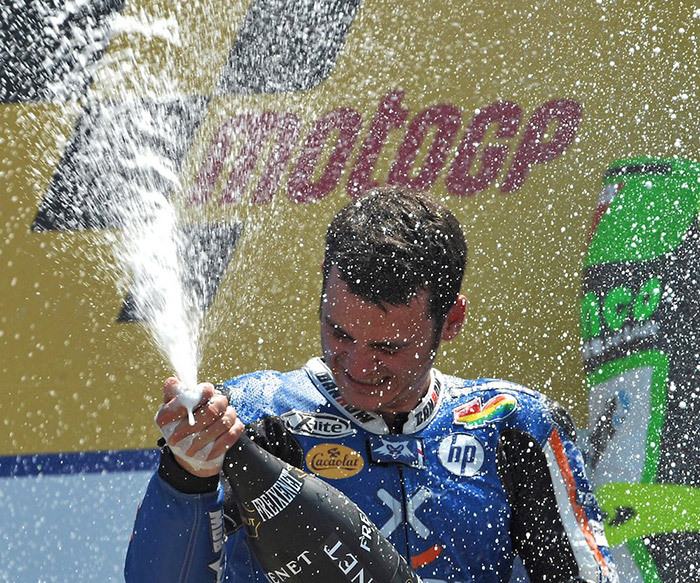 Place 5 in the riders Championship by Jonas Folger. Place 2 in the final rank of the construction World Championship. Pol Espargaro becomes vice World Champion behind Marc Marquez. Place 2 of 7 at the final ranking of the construction World Championship. Luis Salom becomes vice world Champion. Place 3 out of 11 in the final ranking of the construction World Championship. 3 Teams / 5 riders: Pons Racing, Viessmann Kiefer Racing, GP Team Switzerland. Stefan Bradl becomes World Champion on a KALEX MOTO2™, followed by Marc Marquez. 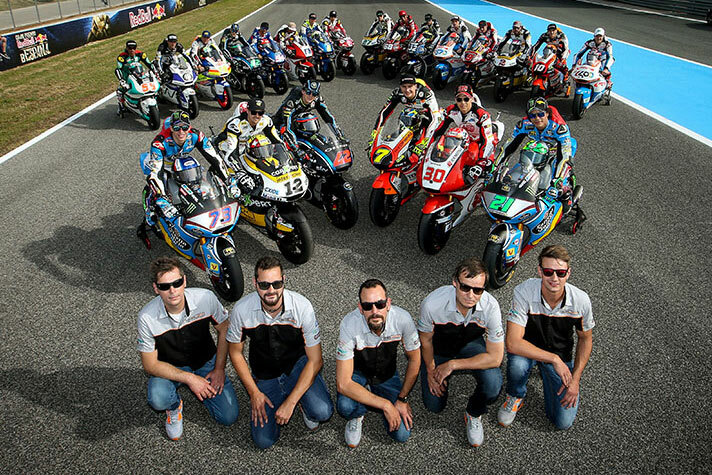 The first WM season with the Pons Racing Team including the riders Sergio Gadea and Alex Pons. Straight off, KALEX places 7th out of 14 at the final ranking of the construction World Championship. A wildcard is included and therefore 3 bikes are on grid at the Sachsenring. 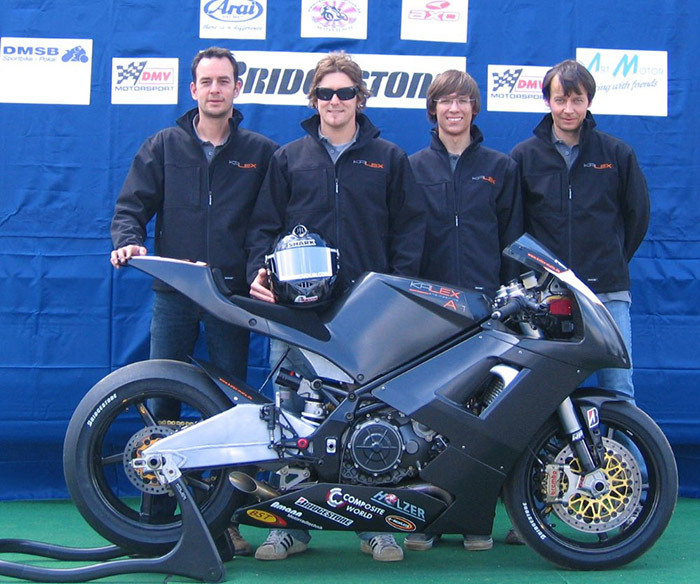 Bike Presentation and cooperation with Pons Racing. 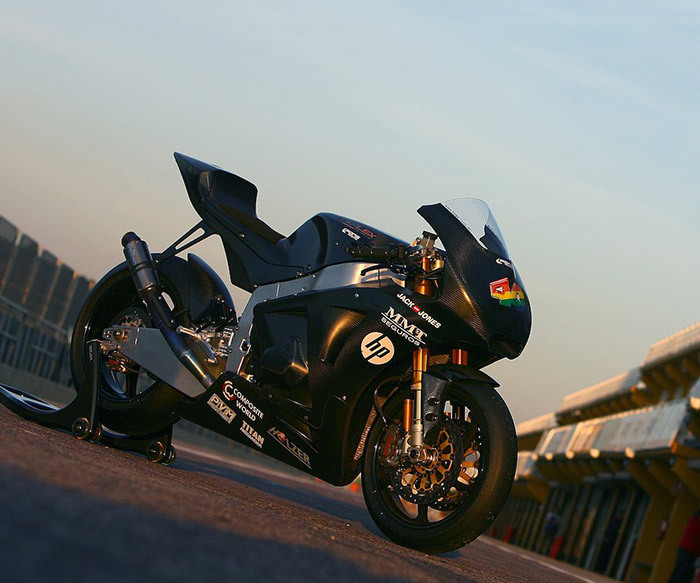 The first Moto2TM bike „ready to race“ hits the race track. 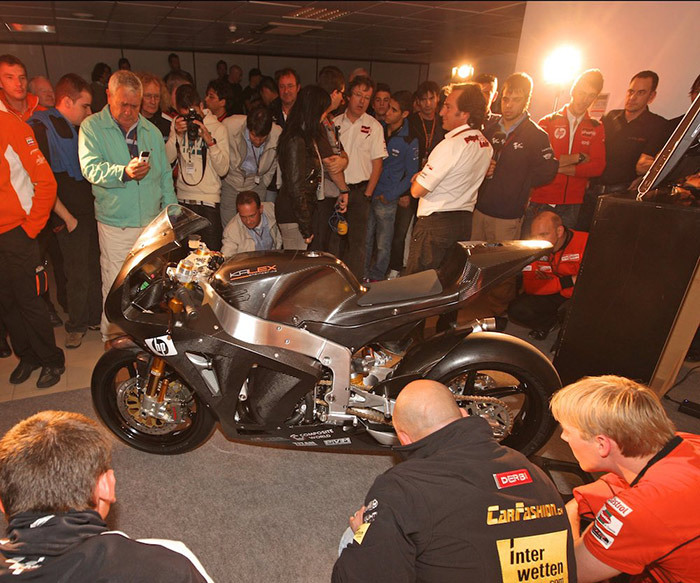 First plans for the new Moto2TM class, which replaces the 250ccm 2 stroke from 2010 onward. 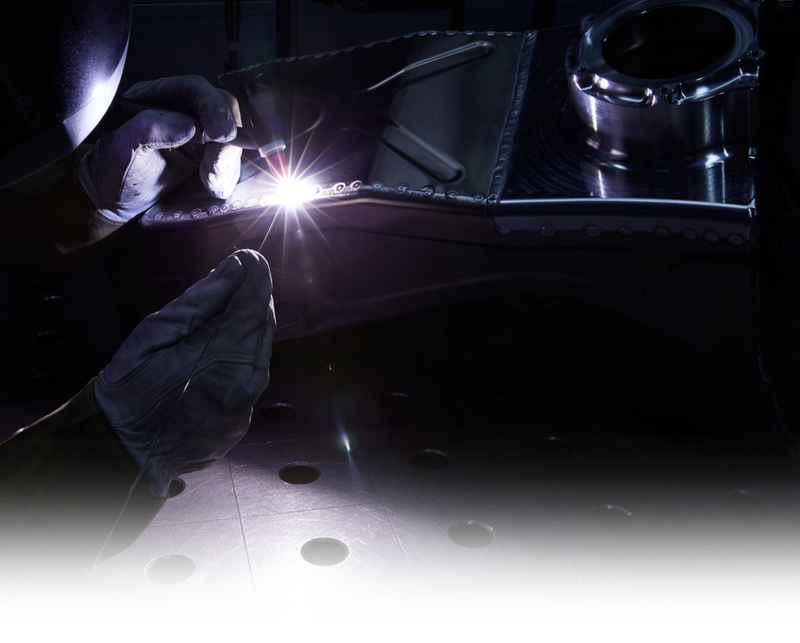 Start of design, construction and production of the KALEX Moto2TM. Registration of KALEX engineering GmbH. First race victory by Damian Cudlin at Schleiz. First participation at the International Ducati Clubrace at Assen with Damian Cudlin. 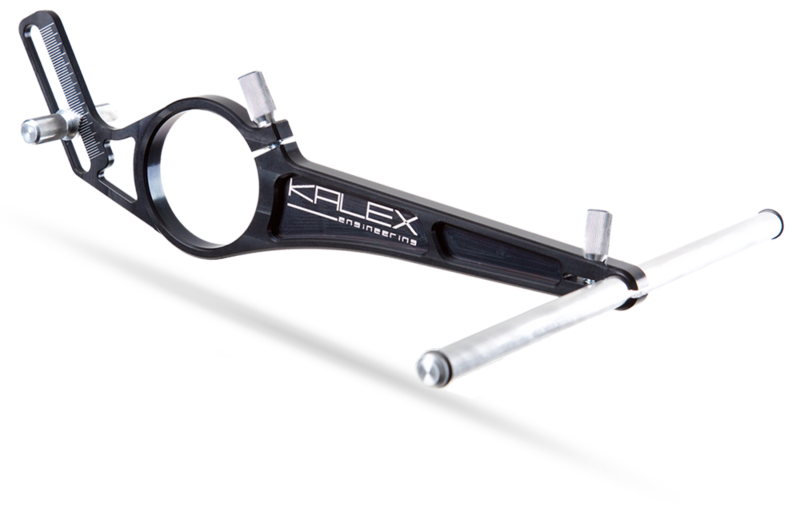 Registration of KALEX engineering GbR: Klaus and Alex officially becomes KALEX. First roll out of the KALEX AV1. A laborious restoration and the participation at various events follows. 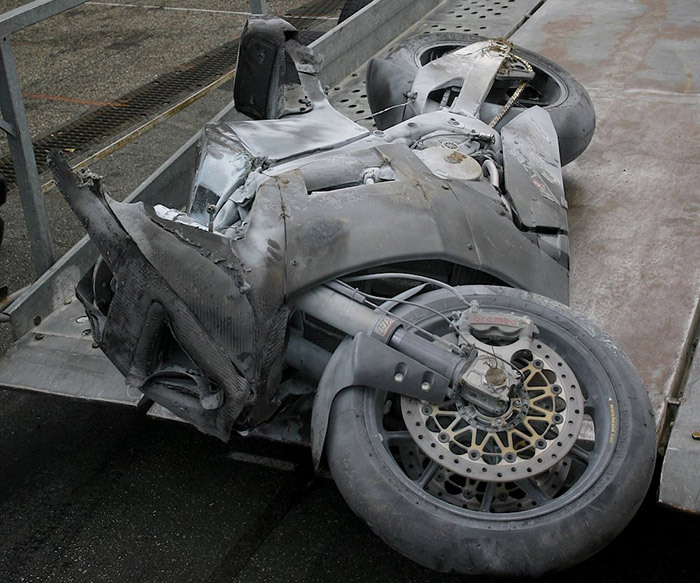 Klaus stops working for the Holzer company group and concentrates all work on project “motorbike” full-time. First test with Rico Penzkofer in Cartagena. Several training sessions on a prototype, including Race tracks and GP visits. Start of construction and production of the KALEX AV1 while being employed full-time as development engineers. 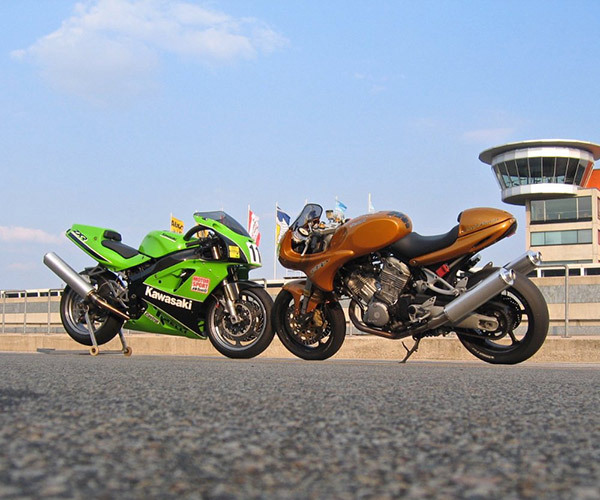 ... after a race training at Sachsenring on a Voxan CafÈ Racer. Alex:"I´ll make the VOXAN suitable for race tracks." Klaus:"Buy yourself a sportbike. ;-)"
Alex: "I don´t wanna buy something, I´ll build me something."